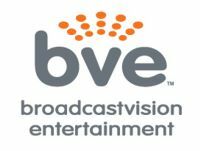 Founded in 1989, Broadcastvision Entertainment is a pioneer and leading market innovator in the fitness entertainment industry. Our most recent innovations include AudioFetch (TV audio to Smartphones) and the CAB (console adapter box) for cable/satellite box control for popular cardio equipment brands. We manufacture quality commercial grade products designed specifically for the fitness industry and take great pride in the quality of our products and the high level of service we offer to customers. Our products are used worldwide and we offer free tech support and a 30-day money back guarantee. Call or email us today to learn more at 888.330.4283 x 1 or info@broadcastvision.com. Broadcast real time audio from TVs installed throughout your facility to Apple and Android devices. 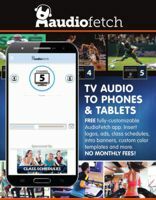 FREE fully-customizable AudioFetch app. Insert logos, ads, class schedules, intro banners, custom color templates and more. NO MONTHLY FEES!